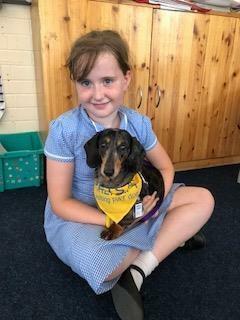 We welcome Winney to St Helen's as part of the Pets as Therapy charity. Winney is a smooth haired miniature Dachshund. She is seven years old and will be supporting children at school for reading, mental health and well-being.